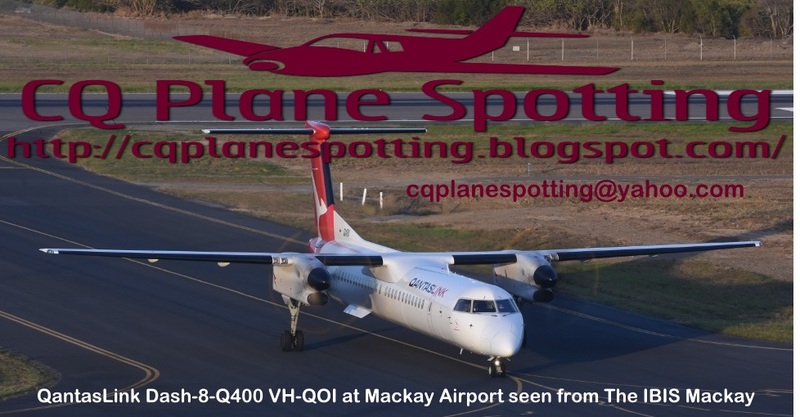 Central Queensland Plane Spotting: Royal Australian Air Force (RAAF) Lockheed C-130J-30 Hercules A97-441 Back at Rockhampton Airport This Time as "Trojan 46"
Royal Australian Air Force (RAAF) Lockheed C-130J-30 Hercules A97-441 Back at Rockhampton Airport This Time as "Trojan 46"
On Wednesday 23 May, Royal Australian Air Force (RAAF) Lockheed C-130J-30 Hercules transport aircraft A97-441 was spotted arriving into Rockhampton Airport from RAAF Base Richmond as "Trojan 46". This is the second time in less than a week that this Herc has passed through Rockhampton Airport seemingly bringing more military personnel and equipment in support of a land/sea joint military exercise which is currently underway in the nearby Shoalwater Bay Training Area (SWBTA). After a short time on the ground, A97-441 departed to RAAF Base Tindal (Katherine) again as "Trojan 46".